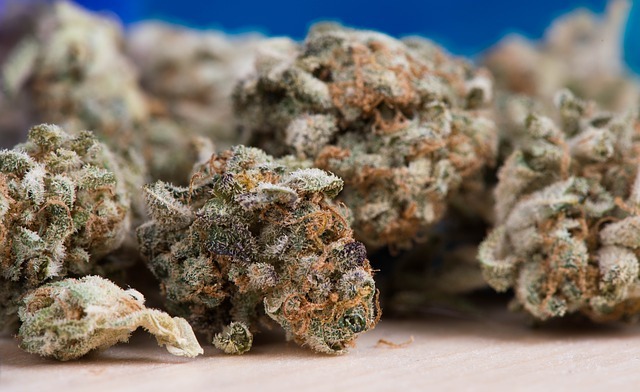 According to Bloomberg, many people are choosing to serve weed over alcohol at their weddings, open bars are a huge hit and the cost of weed vs the cost of alcohol is considerably cheaper. According to Bloomberg, the typical bud bar is hosted for approximately $300 and lasts for about 2 hours. This includes all of the marijuana, vaping equipment, edibles, a few cocktails and more. Bongs and more can also be added into the mix as couples are allowed to choose the items for the bud bar. At present, marijuana is legal in the following states, Alaska, Colorado, California, Nevada, Massachusetts, Maine, Oregon, and Washington State and Washington D.C.
For these states, a bud bar would be perfectly legal however, it is vital to keep in mind that only those who are over the age of 21 would be allowed to partake of the bud bar. For this reason, there should be some discretion on who is managing the bud bar. As more states are allowing cannabis to be legal, more states are anticipated to follow suit in the near future and change from offering an open bar to a bud bar at weddings. 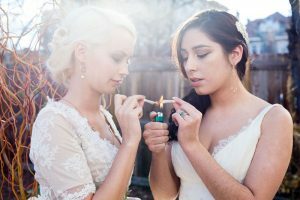 When asked about the prospect of marijuana at weddings, many attendees have made it clear that they think this is a great idea. In many weddings, the alcohol flows freely and there is little difference in many attendees minds as to which is more intoxicating alcohol or marijuana. Clearly, many are on the fence regarding the idea and those who are openly opposing the idea are sure to be disagreeing about the alcohol as well. In most instances, both will be at the wedding. Alcohol and a bud bar aren’t unheard of when it comes to weddings and the fact that it’s legal simply takes it out of the closet and brings it into the reception where many people are already using it anyway. Why not combine the two and allow attendees to enjoy the reception without the threat of jail or serious fines? As long as minors aren’t partaking of the product there should be no reason that marijuana bars should be avoided at weddings. Guest can be told ahead of time that there will be a marijuana bar open and what the hours are. If the guest isn’t interested, they can leave before the marijuana bar opens after they wish the couple their best. Next PostNext Will Pot Ever Be Legal In New York City?